Adept Civil Group was contracted to install 300 meters of 150mm UPVC and 100 meters of 300mm UPVC. In addition, the scope of works also included building 4 1250mm manholes with depths ranging from 3 to 6 meters. The works was part of the Martha Cove Town Centre Development. 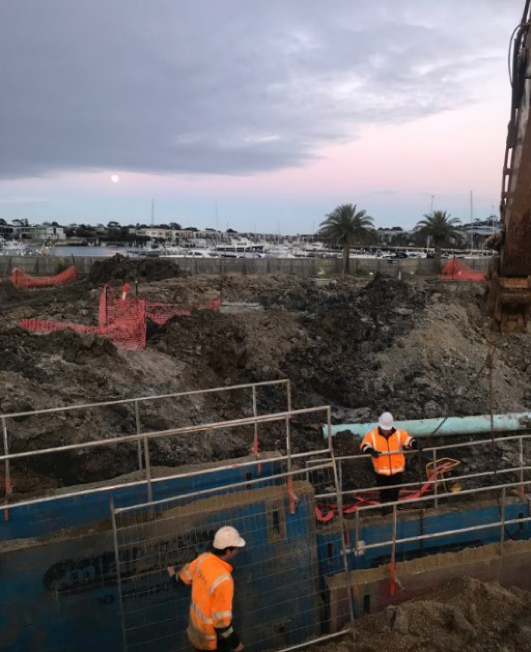 The wet ground conditions posed its challenges in particular with the construction of the manholes as the location of the works was situated by the waterfront. This challenge was overcome by using steel manhole boxes which provided adequate shoring to construct the manholes. If you are looking for a reliable and efficient water services contractor, contact us to discuss how we can help you get your next project delivered on time and on budget. 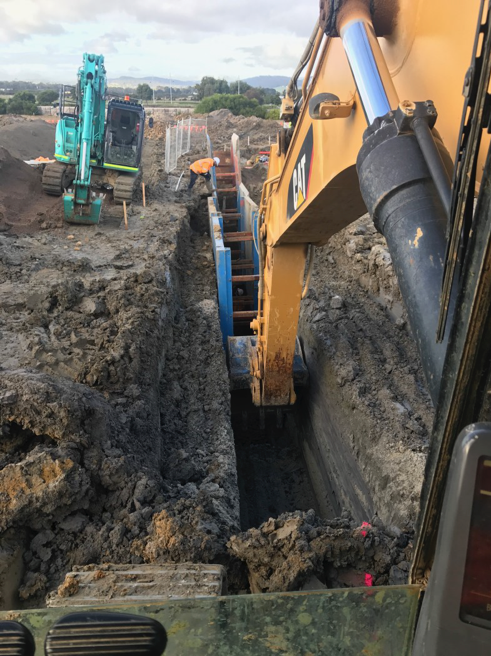 Adept Civil Group was awarded the contract to complete the Stormwater relocation alignment as part of the Metro Tunnel Early Works. 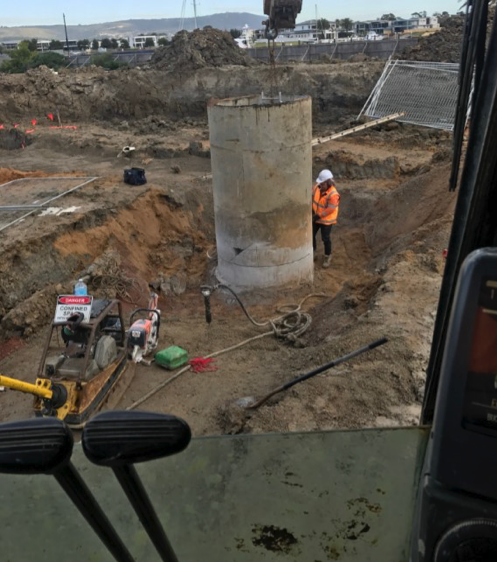 Adept Civil Group was contracted by GPR and Yarra Valley Water to undertake the Broad Street Branch Sewer Works. Adept Civil Group was contracted by Southern Program Alliance to complete the Water Main Relocation Works. Adept Civil Group was awarded the contract to complete the water relocation alignment.